Sedona Arizona Luxury Bed and Breakfast Inn, Lodge At Sedona, Grand Canyon, Flagstaff, Jerome, AZ. Hike and explore the 300 miles of natural paths once traveled by the ancient Anasazi Tribe. 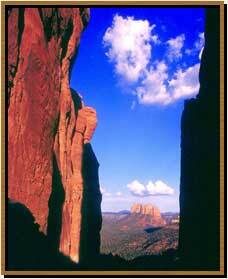 View the Red Rock canyons from a hot air balloon, bi-plane or helicopter. Explore the rugged terrain and back country by SUV or ride horseback through Western movie towns. Enjoy guided tours to the regions many historical and cultural sites or plan your own adventure. Guide To Spiritual Retreats In Sedona - SpiritQuest offers amazing one-on-one journeys to heal the heart and transform your life. 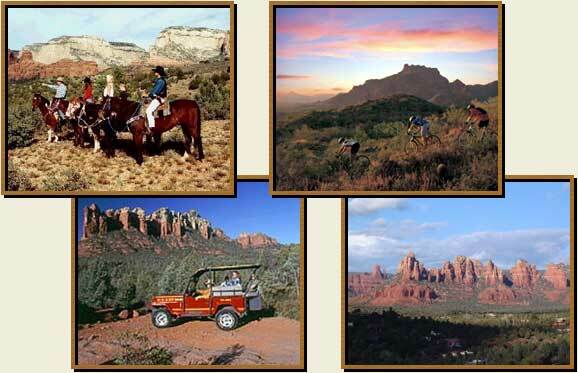 Within a 110 mile radius of Sedona's magical monoliths lies a range of natural and man-made wonders to delight the adventurer: ancient preserved ruins, volcanic craters, a renowned observatory, the country's largest ghost town, and the grand daddy of gulches-the incomparable Grand Canyon.